Partner With Us – Donate Now! “Rejoice always, pray without ceasing, give thanks in all circumstances; for this is the will of God in Christ Jesus for you,” 1 Thessalonians 5:16-18 (ESV). Jesus taught his disciples to pray. As faithful disciples, we want to be people who pray and we need the prayers of others. The Lord is pleased to work through the prayers of his people and we get to see this regularly. We also want the people that interact with our program to see and know this reality. People like you are often our best promoters. Whatever has interested you in making it this far through our website, share it with people you know who you think would be interested in our program. Like the Wears Valley Ranch page on Facebook and follow us on Instagram. You likely know a student who would benefit by being a resident at Wears Valley Ranch and enrolled in St. Andrew’s school. You can go ahead and fill out a student referral form. Point them and their guardians to our website, wvr.org, or help them fill out an application. You can also connect them with our Admissions Office at 865-429-0372. You also may know a kid who would love to come experience a week of Camp Arrowwood. They can find everything they need to know at the Camp website, thebestcamp.com. Make sure they check out the great pictures and videos! Think you know someone who would make a great staff person for us? Tell them about us and have them fill out an application. Since its inception, Wears Valley Ranch has never accepted government support. Instead, as a 501(c)3 non-profit, we gratefully and prayerfully depend on the generous support of individual and corporate donors. Please Contact Us or go to our Donate page (which will redirect you to https://wvr.org/online-giving/). To make a gift to the Equestrian Program, it must be designated “Equestrian Program.” Donate Now! Visit our website, https://wvr.org/online-giving/, and use your credit or debit card to make a secure donation by choosing either a one-time donation or a recurring donation of any amount. Type “Equestrian Program” in the Designation box. You can also call us at 865-429-5437 or toll-free at 866-412-2433 and we will be happy to process your donation over the phone. Your check can be mailed to: Wears Valley Ranch, 100 One Fine Place, Sevierville, TN 37862-2505. Write “Equestrian Program” on the memo line. Please remember that your gift must be postmarked by December 31 to be counted for this tax year. Gifts of stock and monthly automated giving by ACH are gratefully accepted. For more information, contact Lindsay Townsend at accounting@wvr.org or 865-429-5437. For additional or specific needs related to the Equestrian Program, please Contact Us. 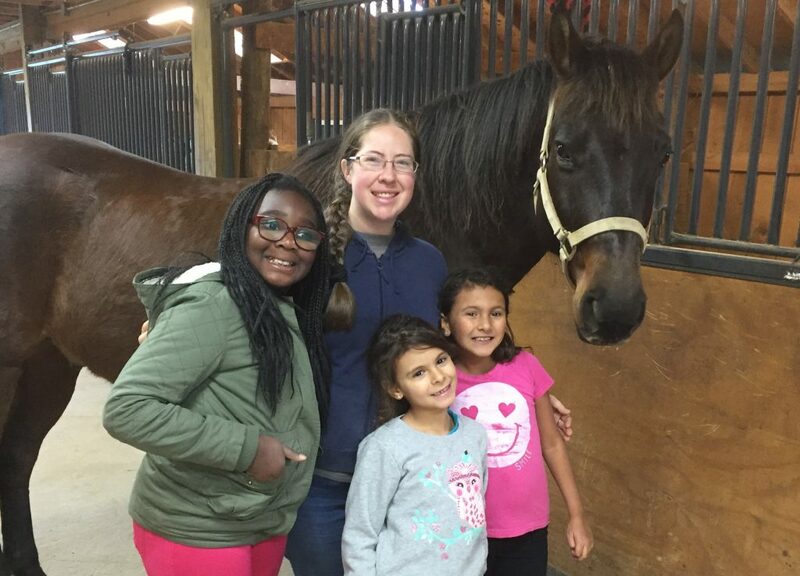 You can also support some of our Wish List items, which includes Horse Sponsorship, yearly needs, and special projects. For additional or specific needs, please Contact Us.